Battlestar Galactica begins with the genocide of humans at the hands of a cybernetic race called Cylons. Less than 50,000 humans survive. 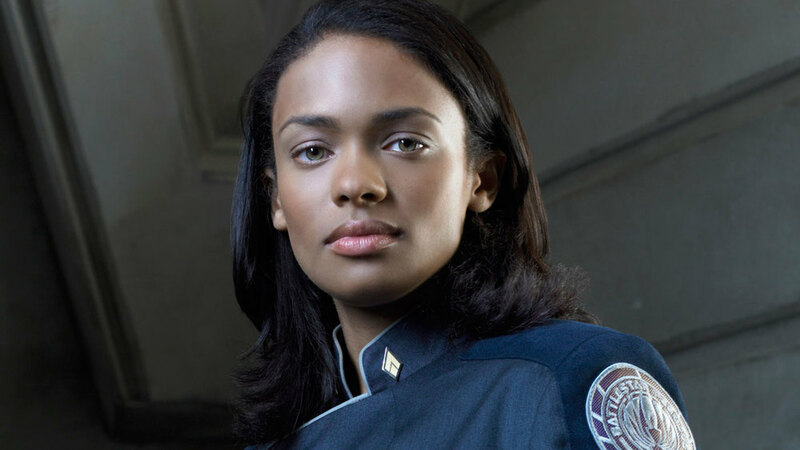 Aboard the Battlestar Galactica, Anastasia "Dee" Dualla serves as a specialist coordinating communications between the human refugee fleet as they try to find a refuge from their persecutors – a planet called Earth. From the beginning of series, it's clear that Dee is a beloved member of Galactica's crew. She's an effective soldier whose rank steadily increases over the course of the show. Off-duty, Dee is kind, empathetic, and funny – the kind of person who makes you feel better after you've had a really crappy day. Dee seems to be one of the more resilient characters on the show. 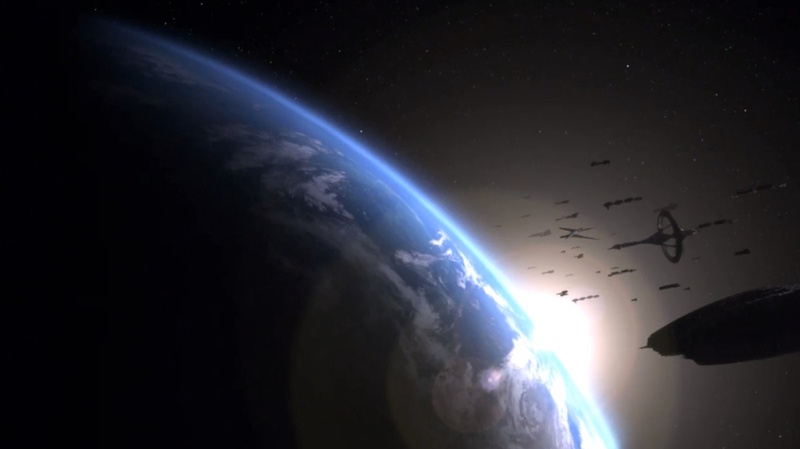 Everyone on Galactica lives in constant fear of Cylon attack. Supplies are low, quarters are overcrowded, and sleep is hard to come by. Despite these horrid conditions, Dee doesn’t lose her temper, abuse substances, or fail in her duty (in contrast to pretty much everyone else on the ship). She survives two hostage crises, one of which results in the death of her boyfriend Billy. Later, when she learns about her husband Apollo’s affair, she copes well and even finds a way to reconcile with him. 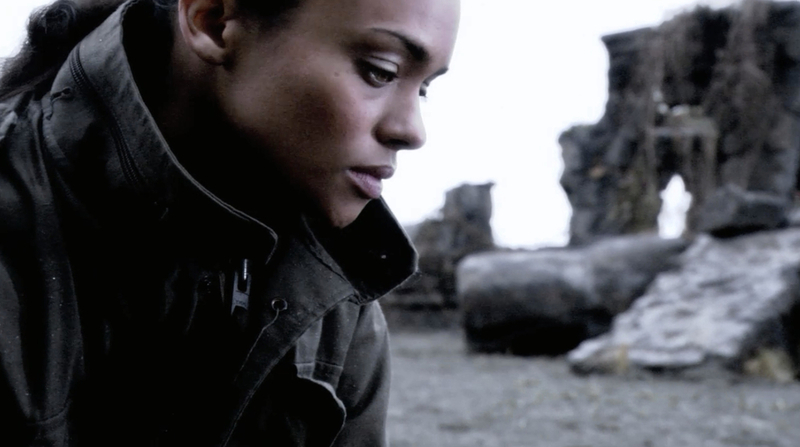 When the human fleet finally reaches Earth, they find it in ruins. Humanity is devastated. Dee enjoys a final evening with Apollo, talks to her friend Gaeta, and then when she is alone she fires a gun into her head. Dee's death is one of the most shocking moments of the show. We don't see it coming and are left with a question real life survivors of suicide constantly play back in their heads – why did she end her life? Dee hoped Earth would bring an end to her pain. People who become suicidal are deeply suffering with depression or anxiety. Suicidal thoughts become a natural reaction to intolerable psychological pain and feelings of hopelessness. For many, thinking about suicide creates a sense of control in a situation that otherwise feels uncontrollable and everlasting. Just having suicidal thoughts doesn't mean someone is going to end their life. Most people who are suicidal actually want to live and probably overcame suicidal thoughts in the past. What is it then that turns someone who is thinking about suicide into someone who is intent on committing suicide? 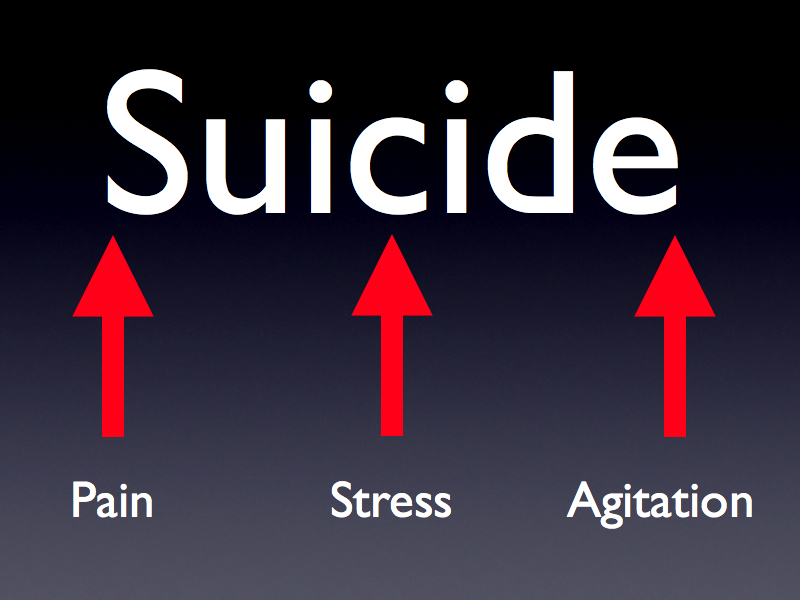 People become at risk for killing themselves when pain, stress, and agitation are all at their maximum. It usually begins with a major stressful event – perhaps the loss of a job during a period of financial instability, feeling humiliated and alone at the end of a relationship, or a rapid change in one's health. Something happens that makes existing feelings of depression, anxiety, and hopelessness much worse. A sense of unease develops, a need to do something immediately. It's an altered state of consciousness that’s hard to imagine unless you've experienced it yourself. When stress, pain, and agitation all reach their apex, that's when a person is in danger of acting on their suicidal thoughts. Her whole family, her whole world, everything had been shattered. After Billy died and after she splits with [Apollo], probably all Dualla has is [the goal of Earth]. The job doesn’t mean anything – what does the job mean at that point? There’s no career, it’s just getting through the next day. So what she had is to get to Earth. And she got to Earth and it turned out to be nothing. Finding Earth in a devestated state triggered Dee's suicidality. "I think for Dee it was just the ultimate act of surrender and the final act of control over her own life. She really wanted to find some kind of peace…She couldn't see any way of ever finding any happiness for herself. " Could Dee have been helped? Could anything have helped Dee live longer? Could anything have been done to help Dee? Yes, absolutely! Suicide prevention can be successful if it addresses the three factors that make someone want to end their life – stress, pain, and agitation. Talking to someone openly about suicidal thoughts is the first step to preventing suicide. This is difficult because there’s a global stigma about suicide. Many avoid all discussion about suicide, see it as a personal weakness, and find it morally abhorrent. This makes it difficult for people to share their suicidal thoughts and might even make suicidal individuals hate themselves even more. Remember, suicidal thoughts are a natural consequence of a number of factors and create an altered state of consciousness – anyone who was in the same situation as Dee would experience suicidal thoughts as a way of easing their suffering. It's important to genuinely try to understand why someone is suicidal. Don’t worry, talking about suicide doesn't make people more suicidal. It can actually temporarily get people out of their suicidal mindset. Ask them about why they want to die as well as their reasons for living. This will help you understand their psychological pain and will make them feel understood. Let them know you will work together to overcome their challenges and regain control of their life. This will help create hope. The last part of suicidality, agitation, is the most dangerous. It's what ultimately pushes someone to act on suicidal urges. Ask your loved one if they’ve made a plan for suicide and find out if they have the means to act on it. A sense of agitation combined with a specific plan can be lethal. That's why it’s so important to limit access to guns, pills, and create other physical deterrents when someone is suicidal. A small barrier could mean the difference between life and death. This is also why alcohol and drugs can make things worse for a suicidal person – they make someone vulnerable to acting quickly without thinking about consequences. With Dee, the most important intervention could have been limiting her access to firearms. Making it harder for her to act on her immediate sense of agitation might have given her enough time to get help. Unfortunately, this was next to impossible on a military vessel where access to weapons is a necessity. Had she been able to ride out her sense of urgency, someone (perhaps Apollo) could have helped her develop more reasons for living beyond "finding Earth". Dee's death is particularly tragic because if she had a little more time she would have lived to see the Battlestar Galactica find an ultimate refuge from the Cylons. The first step to helping someone is simply talking to them about being suicidal. Ask them if they are suicidal. Remember, talking about suicidal thoughts doesn’t make people more suicidal. Be open and genuine. Avoid judgment and blame. Understand their reasons for living and dying. Explain that their suicidal thoughts make sense given their situation. Create a plan for easing their suffering that helps them feel more in control of their life. Together, find a way to limit access to anything that might be used to carry out a suicidal plan. In a crisis, call 911 or go an emergency room. Watching Dee's suicide was very difficult for me. 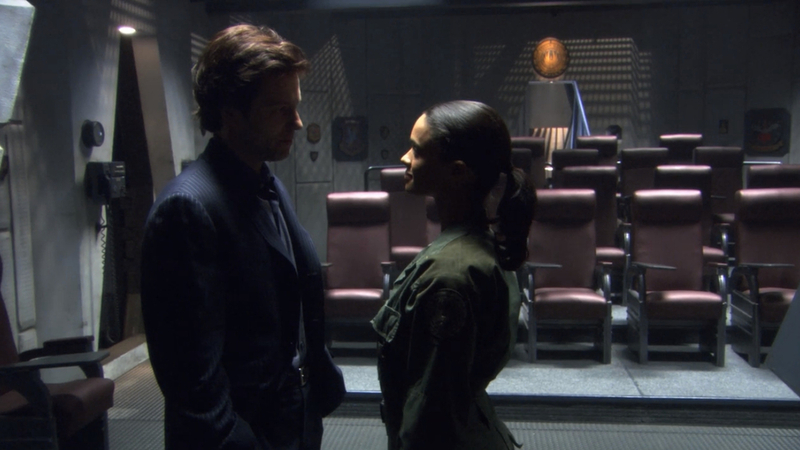 My brother introduced me to Battlestar Galactica and I cherished the time we spent watching it together. Dee's death came less than a year after my brother's suicide. I was still raw when I saw the episode. Now that I’ve had time to reflect on what happened, both in my own life and on the show, I feel validated by Battlestar Galactica's depiction of suicide. The show dealt with the topic in a realistic, non-stigmatic way and showed the world what suicide is really like. I hope this article took the next step and helped you understand what to do if someone you care about is struggling with suicide. If you are presently suicidal and want immediate help, call the National Suicide Prevention Hotline at 1-800-273-8255 or chat with someone right now. Are you a survivor of suicide? You’re not alone and help is available to cope with your loss. If you are a clinician, get trained in evidence-based assessments and treatments for suicidality. I use the Columbia Suicide Severity Rating Scale in my assessments as well as the Collaborative Assessment and Management of Suicidality in my treatment of suicidality.